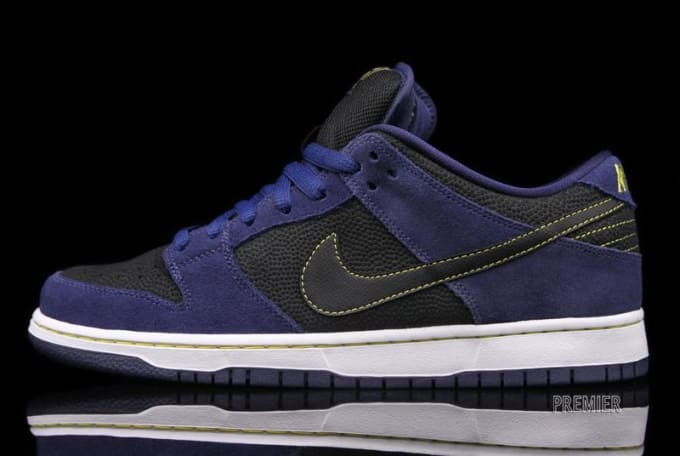 Kicks of the Day: Nike SB Dunk Low Pro "Midnight Navy/Black"
In taking a look at one of the more impressive Dunk Low Pros to hit as of late, we notice the utilization of suede as well as pebbled leather on the upper. The black base is offset perfectly by the addition of a blue suede overlay, while yellow accents only entice further in the stitching and branding throughout. This is one SB Dunk you might not want to pass up on, so check out Premier to cop for $85.